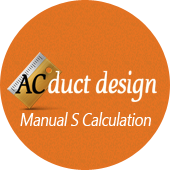 Whether you are an A/C Contractor, General Contractor, Architect, Engineer, or an Owner/Builder, we can provide a HVAC design that is sized properly for your Residential or Commercial application. Our team of HVAC experts spend all day performing ACCA certified calculations that meet all Federal, State and Local requirements for permitting. 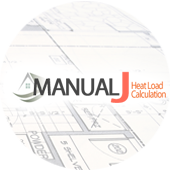 Among all of our most popular calculations are: Manual J (heat load: room by room or whole house summary), Manual N (commercial heat load), Manual D (duct design: complete duct sizing report with schematic of locations, cfm, duct, and grille sizes), and Manual S (ARI Equipment Certification).